JBS’s expansion into the US turned sour when a wrong bet on cattle prices in America, and losses in chicken operations, overpowered a firm performance in South America to drag the group into a surprise loss. Brazil-based JBS, the world’s biggest beef group, reported an after-tax loss of R$180.8m ($114m) for the April-to-June quarter, compared with earnings of R$3.71m a year before. The loss was equivalent to about 7 centavos a share – compared with analysts’ expectations of earnings of 7 centavos a share. While investors had been prepared for "underperformance" at US-based Pilgrim’s Pride, the JBS-controlled chicken producer which last month unveiled a quarterly loss, the Brazilian group also unveiled a hit from being caught out by the southern US drought. 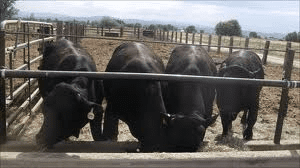 The drought, covering areas home to about one-third of the US herd, caused many ranchers to reverse plans to rebuild stocks, which on a national level are at their lowest since at least the 1970s. Indeed, rather than keeping animals for breeding, they sold them for slaughter or for fattening, prompting a surprisingly strong rate of placements of animals on feedlots. For JBS, the unexpected increase in supplies left the group with a mark-to-market hit on cattle hedges "which depreciated significantly in the quarter due to the drought that hit the southern US and the resulting increase in the supply of cattle for slaughter". The group also highlighted the impact on its Australian beef operations of a strong Aussie dollar, which made exports less competitive, and a rise in labour costs "without any corresponding increase in productivity". The US beef division, which also includes the Australian operations, reported earnings before interest, tax, depreciation and amortisation (ebitda) of $44.7m for the quarter, a fall of 77% year on year, on revenues up 19.1% at $3.96bn. The unit’s "underperformance" also left its mark on JBS’s borrowings profile, being blamed for increase to 3.2 times, from 2.9 times, in the ratio of the group’s net debt to ebitda as of the end of June. Including part-owned Pilgrim’s Pride, total debts were R$12.1bn, equivalent to 3.6 times ebitda. JBS revealed last week that BNDES, Brazil’s national development bank, had converted loans with a face value of R$3.48bn into shares, resulting in a jump to 30.4%, from 17%, in its stake in the beef group. The stake of JBS’s ruling Batista family has fallen to 47% from nearly 55%. The results statement also revealed that ebitda in US pork jumped 72% to $83.6m, boosted by "significant demand from the export market", while in the group’s historic South America beef operations, ebitda rose 28% to R$427.9m ($269m). Nonetheless, JBS shares closed 3.3% lower at R$4.12 in San Paolo.